Jyrmo, whats that 1953exp ? 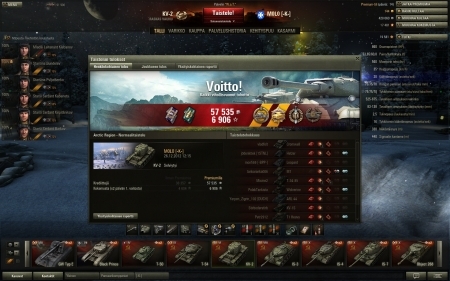 only higgest medal counts, if you readed instructions you now that.Please note that if you earn more than one Battle Hero medal during the battle, you will only be rewarded for the ‘higher’ one. Kaicito's math is correct and the entry seems to be just fine. i say that to Witalsk :) In his comment he count 2428 xp. When you get 1410 exp on defeat. Anyone know what you would get if you won the game? I modified the score earlier, and it is 100% correct. The math is (6906 - 1500) / 2 = 2703, only the highest xp awarding medal counts.